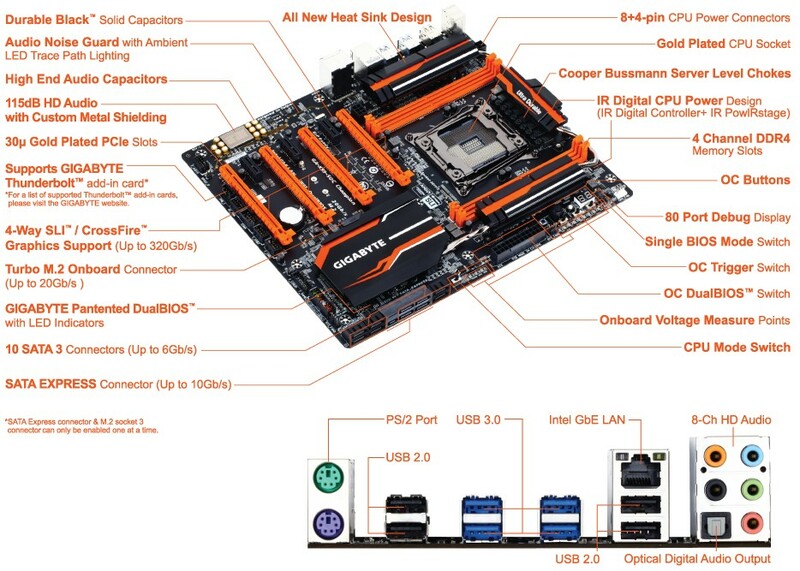 Gigabyte, during International CES 2015, announced its latest overclocking X99 motherboard built for those who seek to break world records – the Gigabyte X99-SOC Champion. 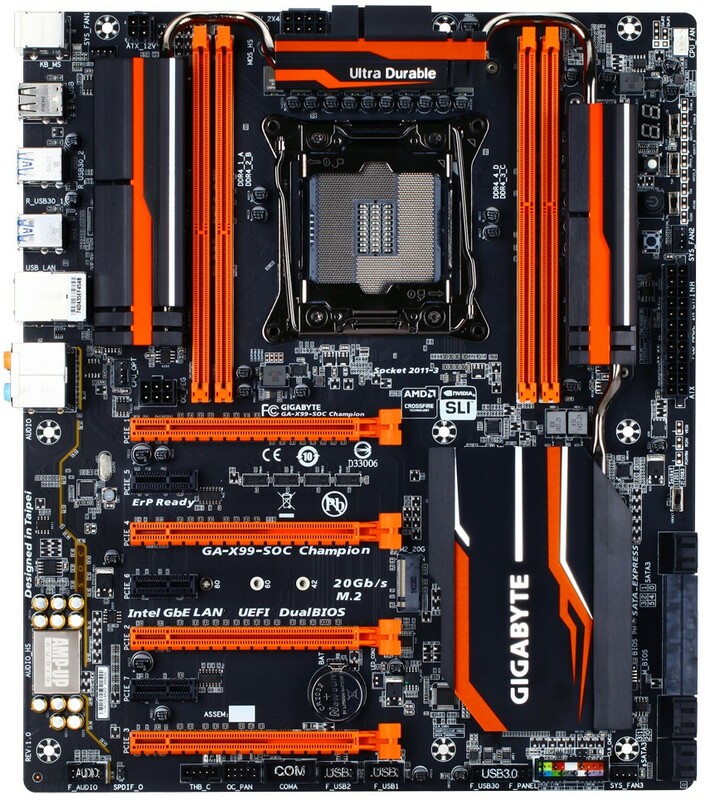 The Gigabyte X99-SOC Champion features an unlocked 2083 Socket, more pins than your typical socket LGA2011-v3. This isn’t actually the first X99 motherboard to have this kind of socket, since we first saw this with Asus’ X99 motherboards. The X99-SOC Champion is built for extreme overclocking and it definitely has OC-oriented features and OC exclusive buttons. Check out the rest of its features and specifications from the official release below. There are also videos from CES 2015 regarding this motherboard for your reference. SMT mounted for improved signal quality and located closer to the CPU socket, the DIMM’s shorter trace path enables the DDR4 memory to communicate faster with the CPU, enabling the overclocker to reach never achieved before DDR4 memory frequencies. The X99-SOC Champion also sports a unique all digital CPU power design from International Rectifier® which includes both 4th Generation digital PWM Controllers and industry-leading 3rd Generation PowIRstage® controllers, allowing enthusiasts to get the absolute maximum performance from their new Intel® Core™ i7 Extreme Edition CPUs. The X99-SOC Champion offers maximum data transfer speeds for storage devices with a Turbo M.2 port for 20 Gb/s of transfer speed on M.2 devices, and a SATA Express connector bringing 10Gb/s transfer rates needed for faster NAND flash technologies in cutting edge SSDs. Additionally, the GIGABYTE X99-SOC Champion, features a unique PCI Express design that utilizes 100% of all 40 lanes from the CPU when in a 4-Way or 3-Way graphics configuration for the ultimate in graphics performance.